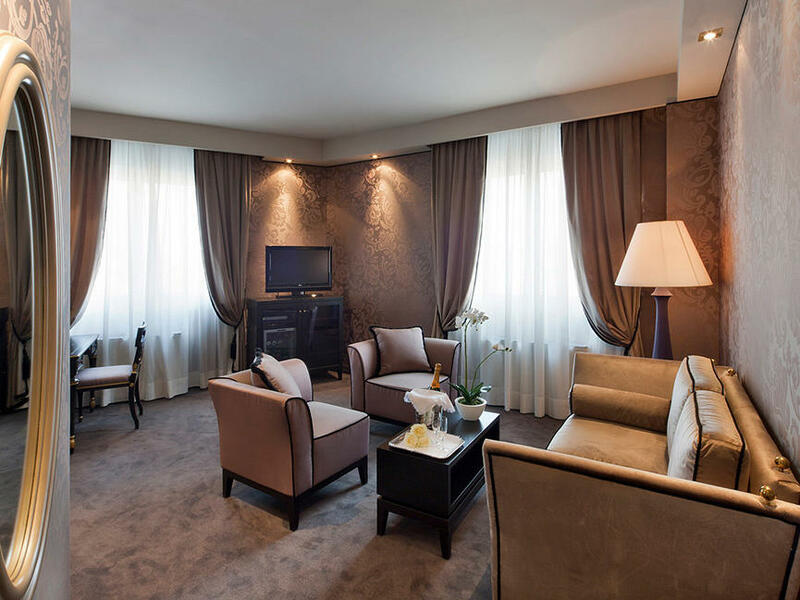 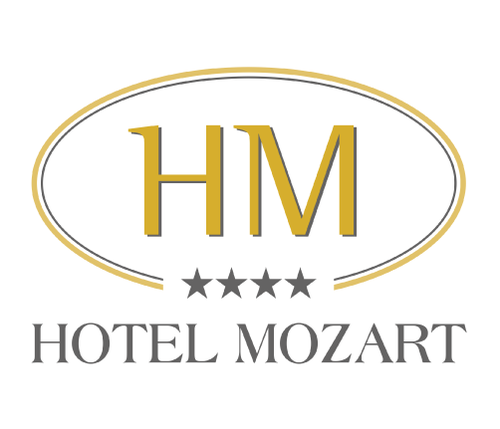 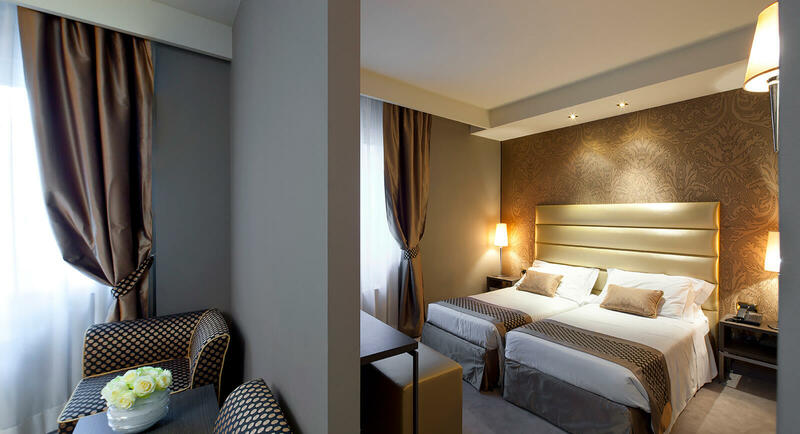 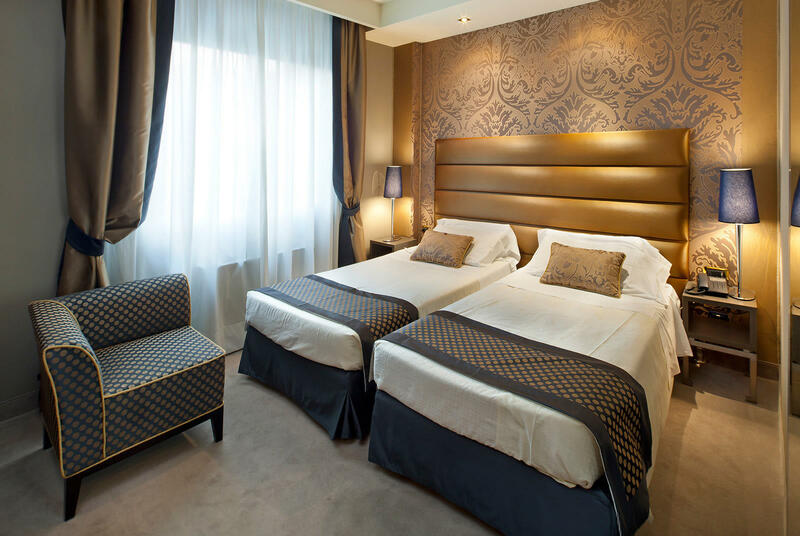 Our three stylish suites are composed of two large rooms: a spacious and bright living room with comfortable armchairs, a 140-centimetre sofa bed accommodating 2 children or 1 adult and a 42-inch flat-screen TV. 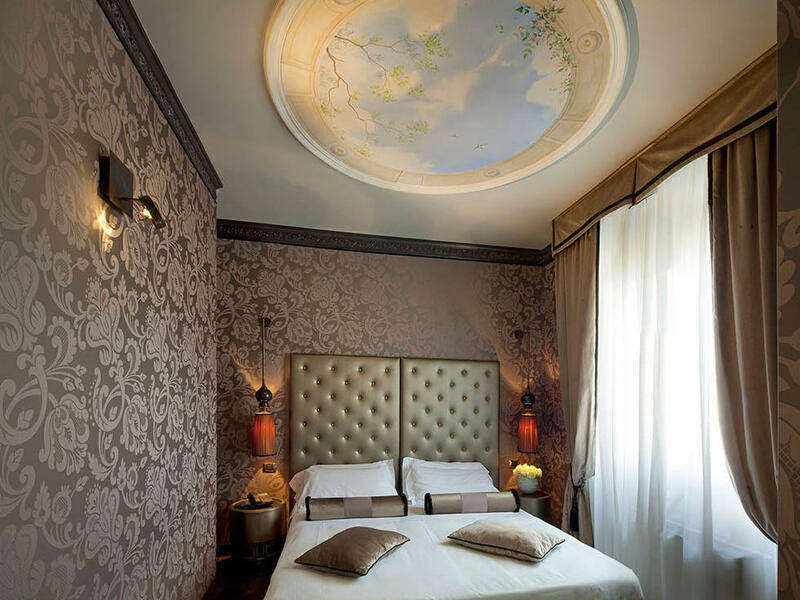 The refined bedroom, characterized by frescoed ceilings with beautiful trompe l'oeil, is equipped with a flat-screen smart TV, safety box (suitable for laptop) and a Simmons bed with deluxe, high-thread count Italian linens. 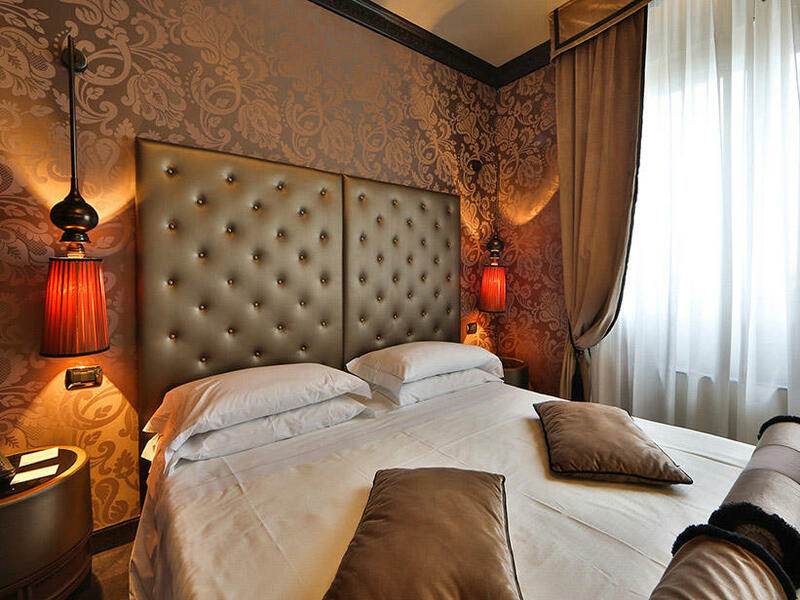 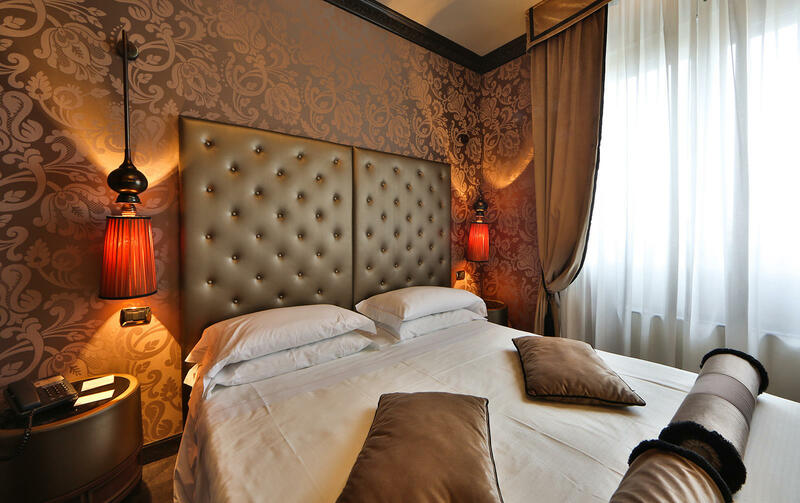 The walls are covered with top quality fabrics and decorated with plaster ornaments. 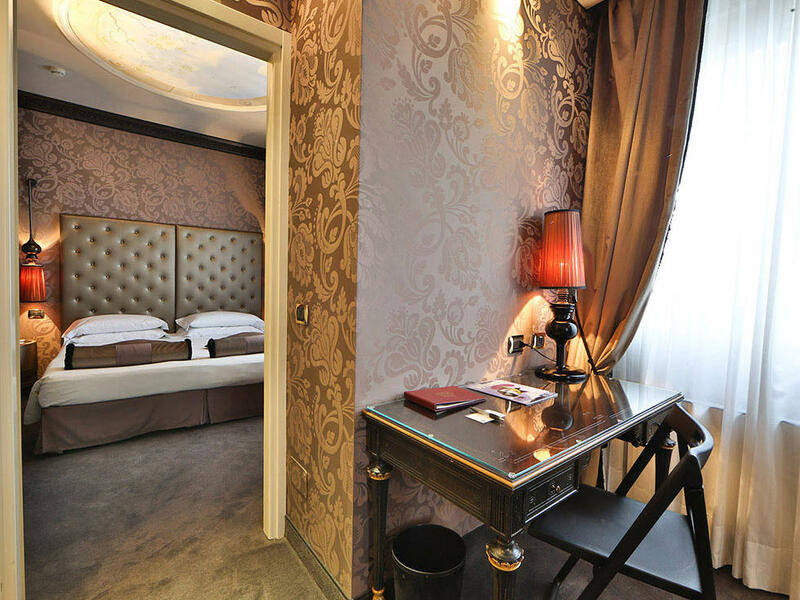 Elegant furnishings, velvet chairs and luxurious drapes will satisfy the most demanding of tastes. 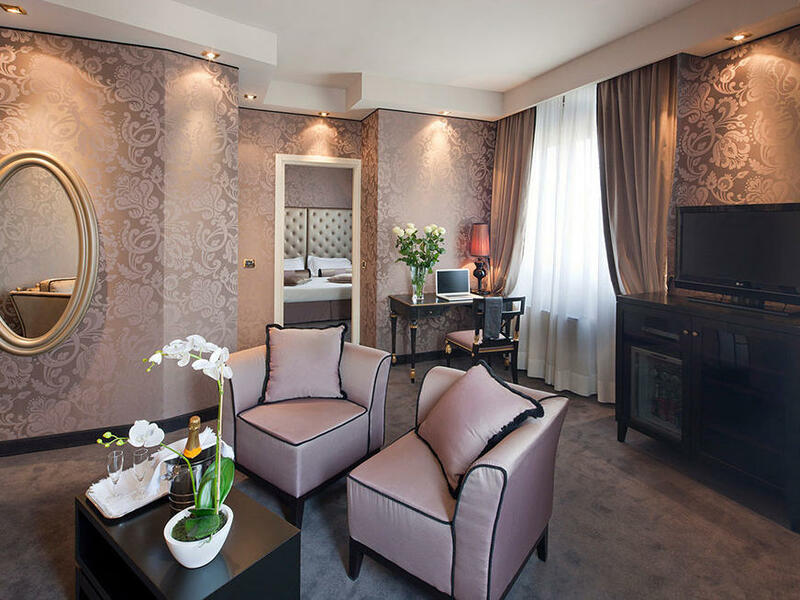 The spacious bathroom is equipped both with a Jacuzzi and a shower and offers every kind of comfort.